But it was his first game action since he was with the Rockets on Jan. 12. - CLICK HERE to read full story. INDIANAPOLIS — The Cavaliers could not find their offense early on the second night of a back-to-back at Bankers Life Fieldhouse on Saturday against the Pacers. They were outscored by 13 in the first quarter and never got back into the game as they were routed, 105-90. Jordan Clarkson led the Cavs (11-45) off the bench with 18 points. 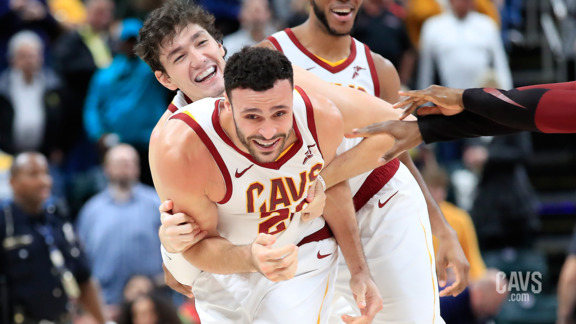 Collin Sexton (16 points) and Larry Nance Jr. (16) were the only other Cavaliers to score in double figures. Nance had a good night from distance, however, shooting 3-for-5 from behind the 3-point line. The three 3-pointers from Nance was a career high on a night when he also recorded his fifth consecutive double-double. - CLICK HERE to read full story. (That’s not to say anyone can’t show off their pipes or learn an instrument – and, like all of us, the current Cavs have aspirations. Walter McCarty has sung the National Anthem at All-Star Weekend. 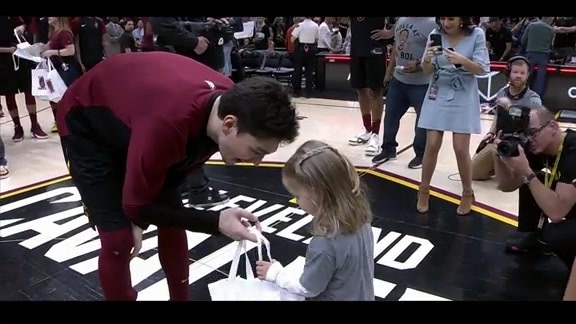 Our own Jim Chones played it on bass before a home game at The Q.) - CLICK HERE to read full story.